In general, workplaces have become safer and safer as time has gone on. It’s to the credit of innovative safety professionals that the fatality rates in our modern workplaces today are far lower than they’ve ever been (hurray!). Unfortunately, as every toddler learns, despite our best efforts, “accidents happen.” Even more unfortunate is that accidents in an industrial setting can result in serious injury or even death. Still, these accidents are largely (if not fully) preventable, and there’s never a more noble cause for safety practitioners than to whittle the occurrence chance down to as close to zero as possible. In this blog post, we’re going to go over a few ways in which you can help reduce the likelihood of fatal traps existing in your own workplace. In a recent example shared on LinkedIn, one user shares the story of a how an employee met his untimely demise when he was trapped in a heat wrapping device. While a number of factors contributed to the accident, one was that the pistons that applied pressure to the rollers were unnecessarily forceful. In the end, the worker ended up with his chest compressed by the pistons, and was unable to breathe. The amount of force required for the machine to complete its sealing job was reported to be significantly less than was actually being used (the amount that could compress the chest cavity to an unbreathable state). Machinery malfunction or interaction may not be the top cause of deaths in the workplace, but it’s still a major factor. Plus, the injuries and deaths that result from machine/employee interaction are some of the most gruesome and make for chilling examples of what not to do. In your own workplace, you should always be ensuring that the default or current settings of your equipment are A) not excessive for their assigned task and B) properly maintained. This means not only addressing machinery when something is wrong or a specific concern is raised, but with regular maintenance that can catch problems before they occur. 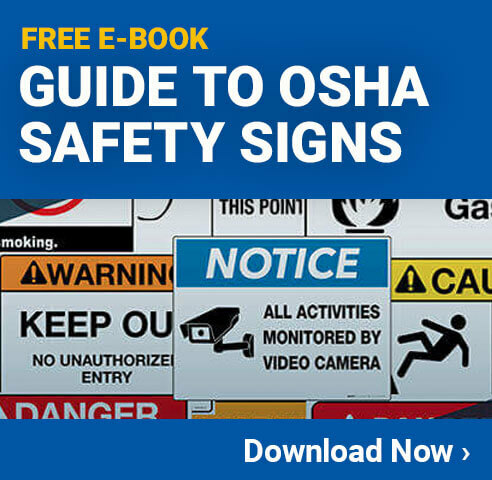 While pressure/force was a factor in the above example, you should also consider factors like speed/rate of work and positioning when evaluating machine safety. One of the most tragic factors of the heat sealer example is that the employee placed himself into harm’s way when trying to fix a malfunction in the machine. One of the reasons he did this is that he wasn’t fully trained on how the machine came to a stop, what emergency stops he should have used before entering the machine, and more. The machine was deemed safe and easy to use, and for this reason was actually involved in a station assigned primarily to new employees (the worker had only been in his position for four months when the incident occurred). While the perceptions of the machine may have been generally true, it seems to have lulled safety management, and by extension their employees, into a false sense of security. This led them to not train as extensively on the workings of the machine, and also the safety mechanisms in place and how to use them. If the worker had been properly educated on how the machine completed its current cycle when shutdown before coming completely to rest, he would have known not to enter the machine when he did. If it were an emergency where he couldn’t wait the extra few seconds, he would have known to use the safety shutoffs. The machine itself was fitted with several ways to stop its function completely. Training is one of the areas where you have the biggest influence over your workers’ behaviors, and by extension how safely they interact with their work environments. Always ensure that your training is as robust as possible and covers everything. A good strategy for formulating training is to make sure that everything is taught by someone who has personal experience in the position or on the equipment being trained for. If that’s not feasible, go through the motions yourself, become acquainted with the things and places you’re teaching about before you do so. This allows you to pick out issues, questions, training needs, and potential sticking points that you might not have noticed from an outsider perspective. Integrating these findings into your training could easily safe someone a limb or a life in the future. Training should also be “high impact,” i.e. not passive. You want your demonstrations to be realistic, and the use of striking examples (like this one) can help illustrate in sickening detail just how dangerous a lack of knowledge can be on the job. Getting employees involved and engaged in as many different ways is also helpful as you’ll be engaging those who learn differently (visual, hands on, auditory, etc.). Yes, some jobs in any workplace are easier than others, some jobs are better suited for those without experience… but don’t let these labels throw off your safety game. Employees shouldn’t be introduced to any job unless they’re fully prepared for it and have supervision. Of course, you need to be able to start people somewhere, but the most important factor is their safety at the end of the day, and delaying efficient work for this goal is perfectly fine. One way to circumvent this is to introduce training in stages. Maybe an employee can’t learn everything right away, but you can prepare them fully for individual stages, then send them to work. You can then educate them on new stages as they are required to work on new things. Safety is a game of continual cat and mouse, and people have the most trouble when they get complacent. The job of a safety supervisor is too important for that anyways, and a lot of people depend on your to keep them out of harm’s way. These aren’t the only ways to keep employees safe, and details vary from one situation to another, but these still remain general applicable principles that can take you’re a long ways.